Story dated March 31,2005 and updated April 5, 2005 . In a landmark deal with Williams, Wayne Gillard - Mr Pinball Australia - has exclusively licensed the intellectual properties and the rights to re-manufacture former Bally/Williams games in the field of mechanical pinball (including traditional pinball and Pinball 2000 style machines). In addition, he also has bought the right to manufacture new games using his company's new hardware system under the Bally brand. The licence includes close to 100 different patents as well as the domains and existing technical content for pinball.com, pin2000.com and pinball2000.com websites. Also, effective 12th October 2005, he has the rights to remanufacture original Bally/Williams parts. 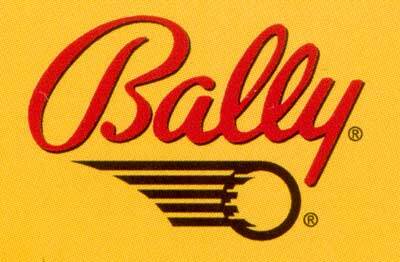 The deal means Wayne now owns the rights to re-manufacture Williams/Bally games and any future games under the Bally brand in the field of mechanical pinball. The Williams name cannot be used as it is still in use by WMS but any Williams branded game could be manufactured and sold as a game by Wayne's company instead, and all original Bally games can be sold under the Bally name. Wayne told Pinball News the new hardware and software system he is using for his upcoming games will use original Williams parts and part numbers, which will ensure both familiarity of operation and a continued supply for older games. To this end, the pinball.com site will be revamped to include an e-commerce section listing available parts and allowing buyers from around the world to purchase them direct. Although as previously reported here in Pinball News, their earlier deal with Williams granted Illinois Pin Ball the exclusive rights to re-manufacture Williams parts, such exclusive rights are due to expire on 12th October 2005 at which point they become non-exclusive and Wayne will also have those rights. IPB retain the tooling they acquired and 21 patents for game assemblies. Wayne has lots more ideas for the pinball.com site including the return of Ask Uncle Willy in a forum where questions can be asked and answered by the experts. The licence raises a lot of questions and even more possibilities, and Pinball News will keep you updated with Wayne's plans and his progress. Gary Stern has issued a statement in response to this report. Click here to read it.